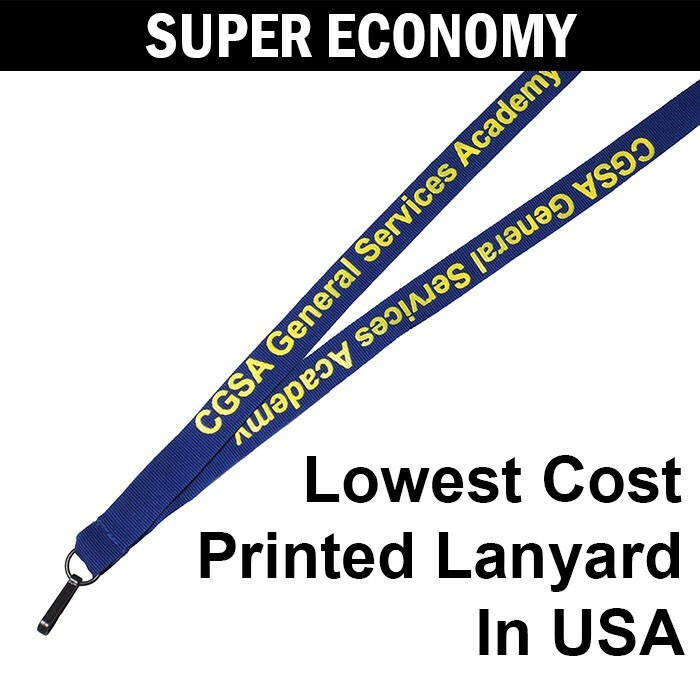 Super Cheap Printed Lanyards. These custom lanyards are made out of a nylon material that are 3/4" wide and .5mm thick, and feature a plastic hook. 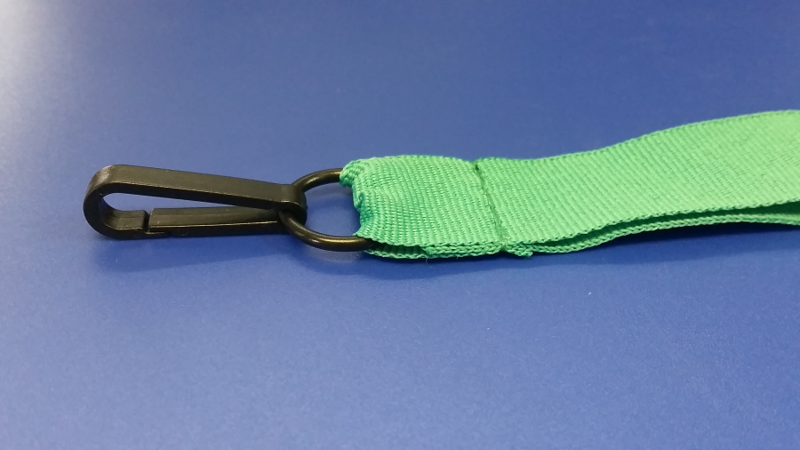 These have a large imprint area so you can customize your low priced lanyard for your office or event. 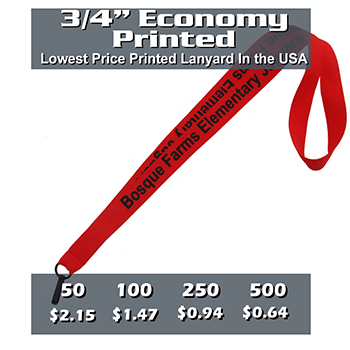 With a low base price and a low minimum order these are an excellent choice for budget oriented cheap lanyards. 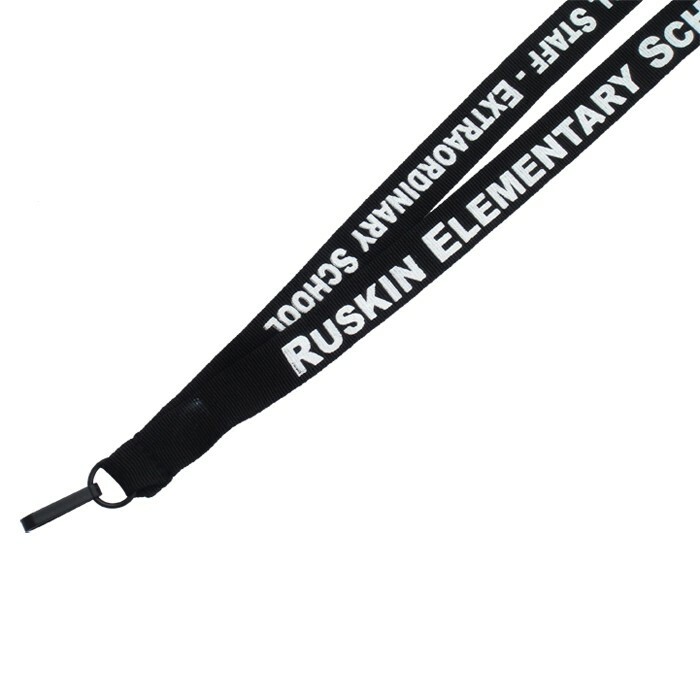 Minimum orders start at just 50 lanyards!